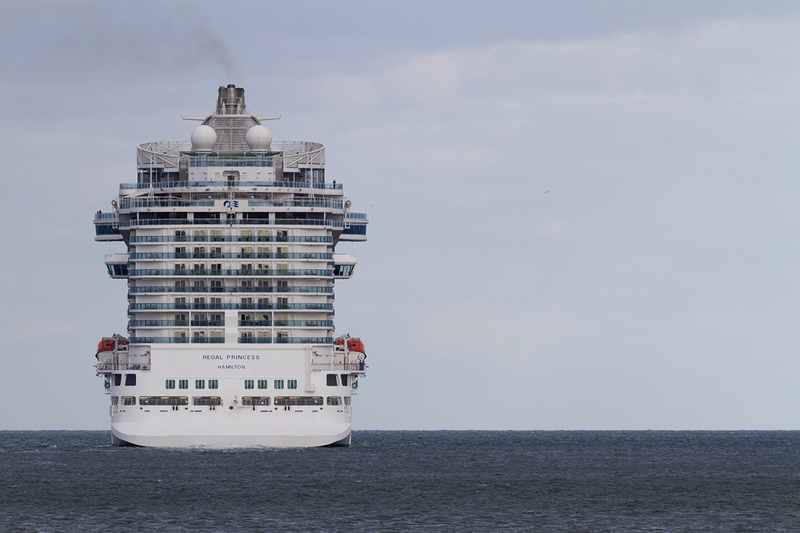 REGAL PRINCESS prepares for departure 26th of May 2015 while MAX MOLS, in-route from Zealand, overtakes the inbound MAGLEBY MÆRSK. Now the bigger KAT EXPRESS 1 departs for Zealand and passes the huge container ship awaiting her approach slot in the bay. Assisted by the tugs AROS and HERMES, the post-panamax-cruiser cast off and takes to the harbour basin and then proceeds into the Bay of Aarhus’ fairway. The maritime traffic choreography is finally completed by FINNSKY heading out loaded with rolling cargo for Helsinki.